It was also a huge shock for those who had voted Leave despite repeated accusations of being racist little Englanders who have allied themselves with political figures whose outlook is often at odds with the liberal mainstream, to find themselves on the winning side. Since the referendum, there has been a big effort from disgruntled remain voters to suggest that the ‘Leave’ campaign was dishonest and misleading with dubious campaign slogans. They have suggested that people voted Leave because they believed the campaign literature. This is, at best, disingenuous towards people who voted leave out of political principle for the right to have politicians accountable to the British public rather than European Union bureaucrats. In reality it is pretty damned insulting to suggest that the people didn’t understand what they were voting for. No doubt there were people who voted because they want tougher immigration controls but the fact remains that people knew what they were doing. The voting process is about which side makes the best and most compelling argument that represents your interests with a reliance on intuition and your own sense of judgment. If your point of view is not the majority view, as mine usually isn't, then it is up to you to make a better and stronger argument in order to convince others. If we uphold the principles of reason and logic, then the strongest arguments will prevail. Prior to the referendum we had been advised that there would be big financial implications if Britain left the European Union by the Bank of England, the UK Treasury Department and other financial institutions. It was suggested that a move back into recession was an imminent and distinct possibility. Emergency plans were drawn up to make assurances and stabilise the economy. However, two months on and the financial assessments are showing that the economy is better than expected, at least in the service and retail sectors. Some of those who had predicted economic doom are still saying that it is early days - things will take time to work through and that the procedure to bring about the exit process has not yet been implemented by invoking article 50. There was also concern that a leave vote was evidence of an increase in racial intolerance and that there would be an increase in racial prejudice, incidents and attacks. So much was made of this that it is little wonder that many immigrants did become a little fearful of the outcome. It is problematic that to talk up the possibility of this happening could give rise to the expectation, which acts as encouragement to those people who do have an issues with race. It certainly looks like this may have been the case for the lone idiot who killed Jo Cox, the MP for Batley and Spen, a few days before the referendum. This was certainly a tragic and horrific event but it was an isolated incident. The Institute of Race Relations (IRR) reports that there wre 134 media reported racial incidents in the month following the referendum June 24th – July 23rd. 101 out of these 134 cases reported that ‘some level of interpersonal abuse of which around a half refer either specifically to the EU referendum or a related theme’. Despite the statistical increase this figure still would appear to be quite low amongst a population of over 60 million. No doubt many of these may have been unpleasant exchanges but some of these are merely verbal rather than violent attacks causing physical injury. What we appear to be seeing is an increased sensitivity and a broadening of the definition as to what actually constitutes a racial incident. 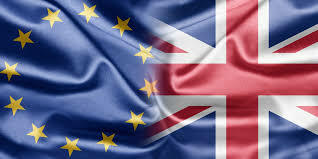 Of much greater concern, for me, is that the result of the referendum for which the decision was between ‘Remain’ or ‘Leave’ the European Union, should be called into question by a considerable group of people including politicians, members of the House of Lords and media personalities calling for either a second referendum or for stalling the procedure with protracted discussions prior to commencing the exit process by triggering Article 50. Indeed the possibility was debated in Parliament today (Monday 5th September). The irony is that many of the people who say they are concerned about racial equality have no problem in suggesting that democracy is not appropriate because there are so many people who are not clever enough to vote correctly and therefore their vote should not be recognised. To defer the triggering of Article 50 is to undermine democracy and the possibility of achieving equality of opportunity, freedom and self determination for all citizens. It is imperative for us all to restore both our understanding and the practice of the democratic process where the majority vote is respected and adhered to whatever the consequences.